UNIQUE FOR ALL YOUR NEEDS! 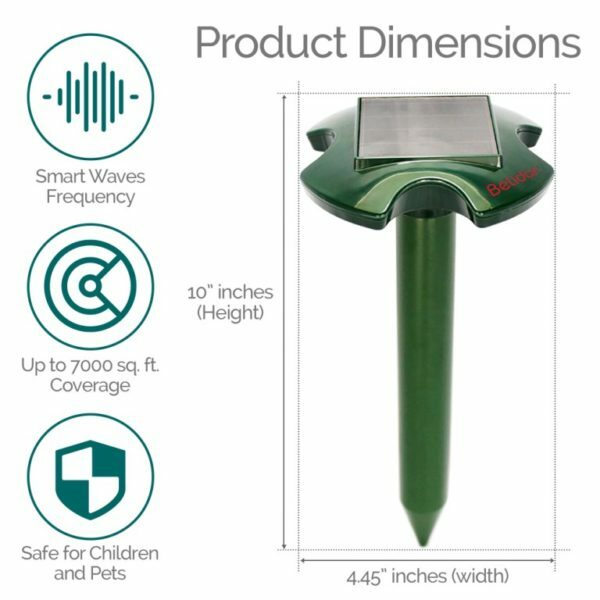 Safely removes underground rodents such as moles, gophers and voles by emitting every 22 seconds a sonic pulse as a vibration transmitted through the ground without risk of contamination for men and environment. Rodents and snakes then perceive a danger zone causing them to leave the area. Large effective range of up to 7,000 square feet. Say bye bye to moles, gopher, voles and pests nightmares. BATTERY NOT NEEDED – IT HAS A LARGE SOLAR PANEL. 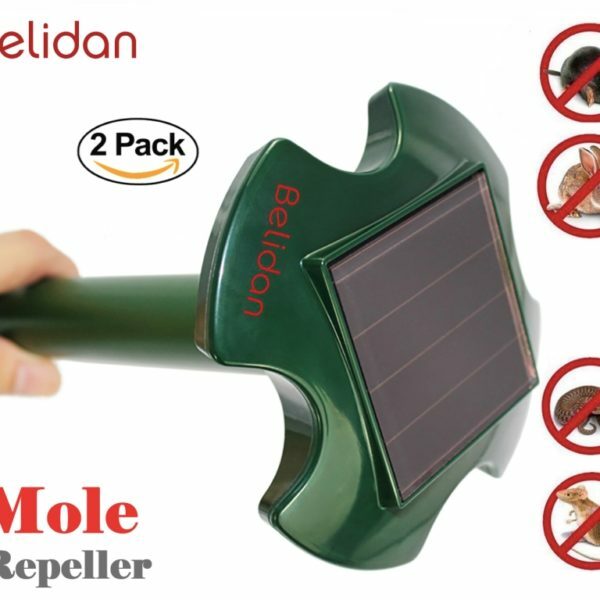 Mole repeller solar powered. 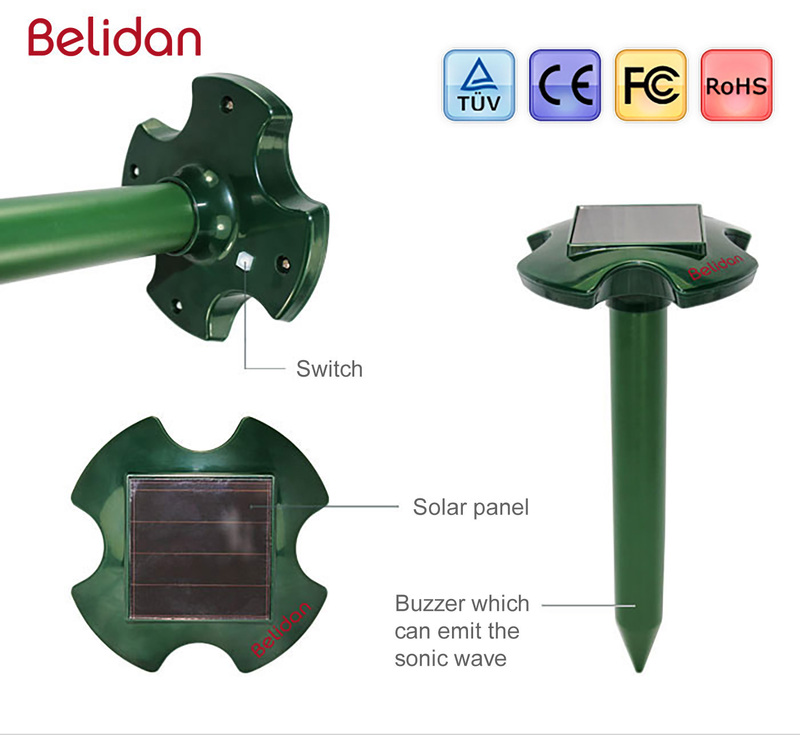 Convenient mole, vole, gopher repellent ultrasonic working on highly efficient solar polycrystalline silicon battery, collecting sun power with high efficiency for operation at night or cloudy, rainy days. Advanced and modern device built up with the highest quality materials to the highest quality standards you should expect. SAFE AND EASY TO USE. Eco-friendly. Safe for children, pets and environment. Easy to read and simple instruction manual included; for first time use, leave power switch “OFF” for 2 full days of sunlight to charge. A humane way to chase away moles. 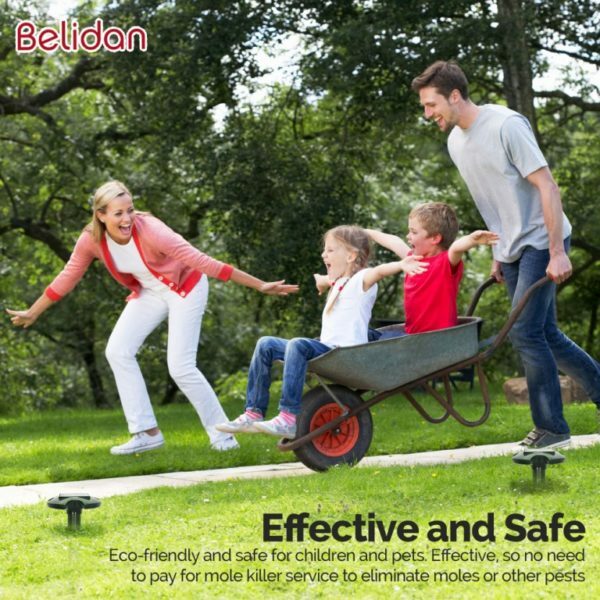 It sells fast so secure this awesome mole repellent or mole repellant now. ENDORSED EFFECTIVE RELIABLE. 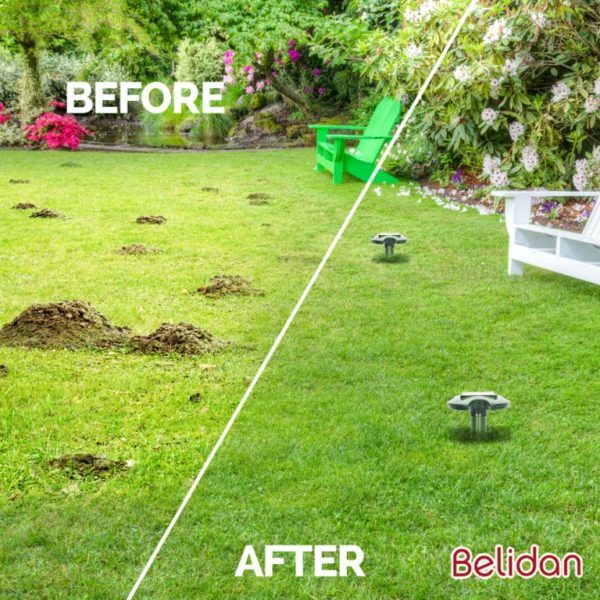 Definitely chases away moles, snakes, mice, voles, rats, gophers, groundhogs and shrews so there is no need to pay for mole killer service to eliminate moles and other pests problems. No need to use chemicals, poison, sprays or traps. Our product is not chemical so it takes 3-4 weeks to see the results. Replaces mole trap, mole killer, mole poison, rat trap, rat poison, gopher trap, vole trap, mice poison and mice trap. SAFETY. It usually takes 2 – 4 weeks for gopher, vole, mole and other burrowing rodents to leave the area because it is not chemical. It is recommended to use multiple devices to overlap providing even more coverage. Under heavy rain remove the repellers from the ground and put it in a dry space. To take care of your lawn or garden select now our mole repellant, mice repellent, mouse repellent and snake deterrent! 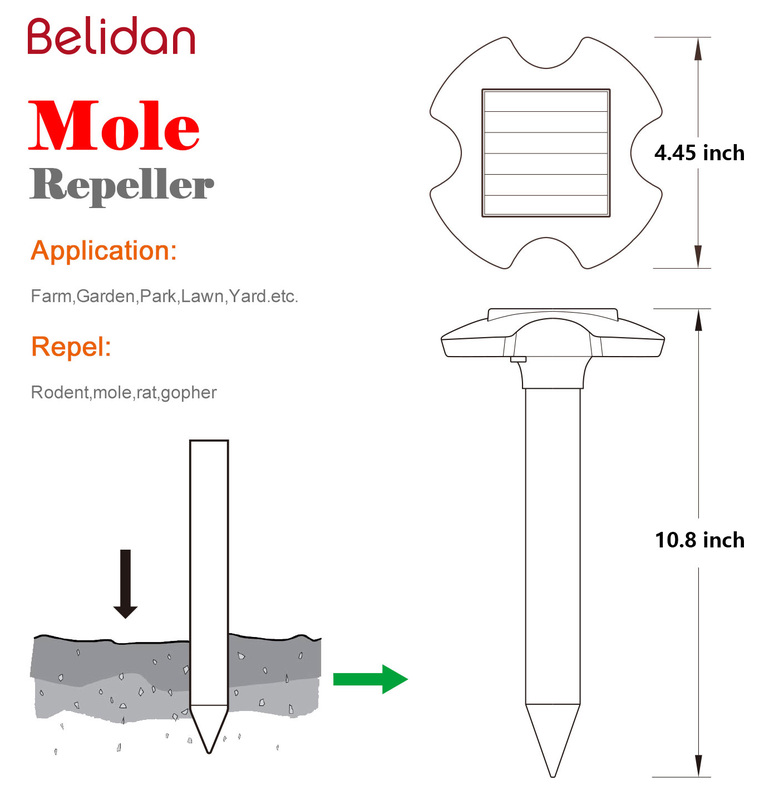 Have you used a mole repeller or an outdoor pest control product before that hasn’t delivered the most – moles, underground rodents or snakes are still there? 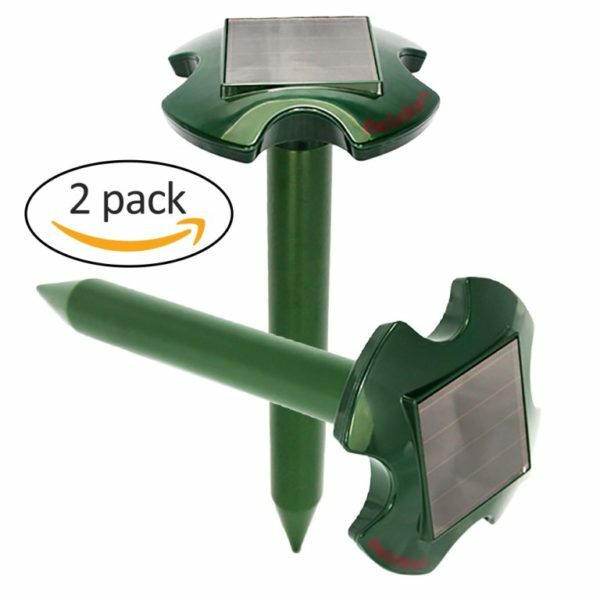 Our Solar Snake and Mole repeller is the solution to your problem and this pest repellant is just what you are looking for. Factually this product safely and effectively repels underground rodents and snakes by using sonic vibrations; this repellent scares the pests, making them flee the area. 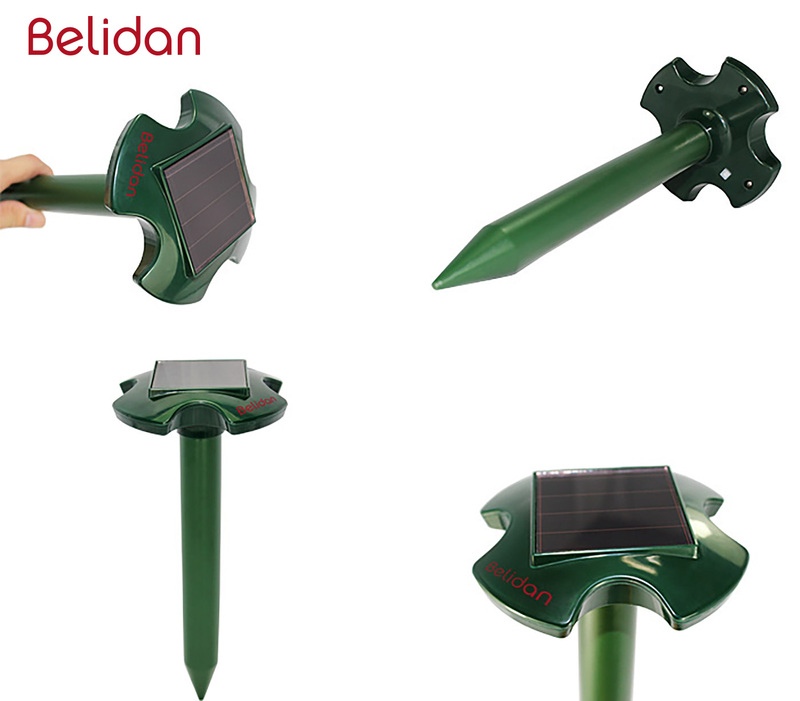 This IS what you need to free your garden, lawn, yard or field from pests. BUY NOW! Are you struggling with moles or other pests in your lovely garden? Or have you used a mole repeller or an outdoor pest control product before that hasn’t delivered the most – moles, underground rodents or snakes are still there? 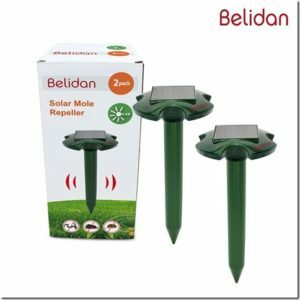 Our Belidan Solar Mole and Snake Repeller is the solution to your problem and this pest repellant is just what you are looking for. 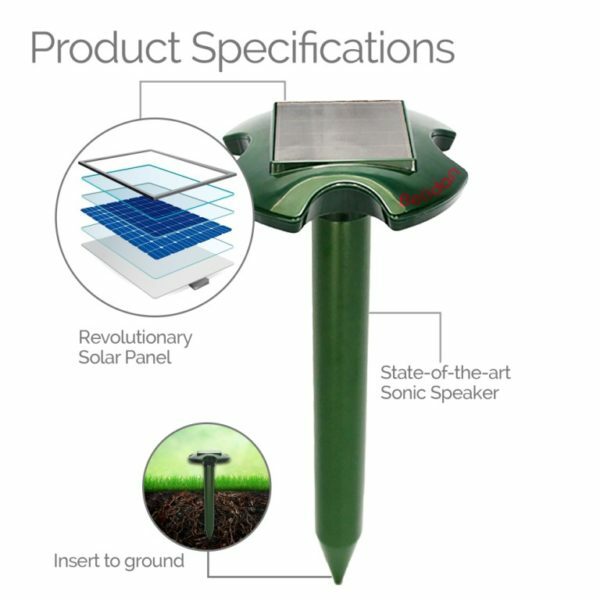 It safely and effectively repels moles, underground rodents and snakes by using sonic vibrations; this repellent scares the pests, making them flee the area; this IS what you need to free your estate up of unwanted pests. Belidan Solar Mole Repellant uses solar energy, it is eco-friendly and safe for children and pets. It is environmentally friendly and a humane treatment of pests. Advanced IPX44 waterproof technology construction for any weather conditions. Farm, Garden, Park, Lawn, Yard, etc.